Happy Monday friends! 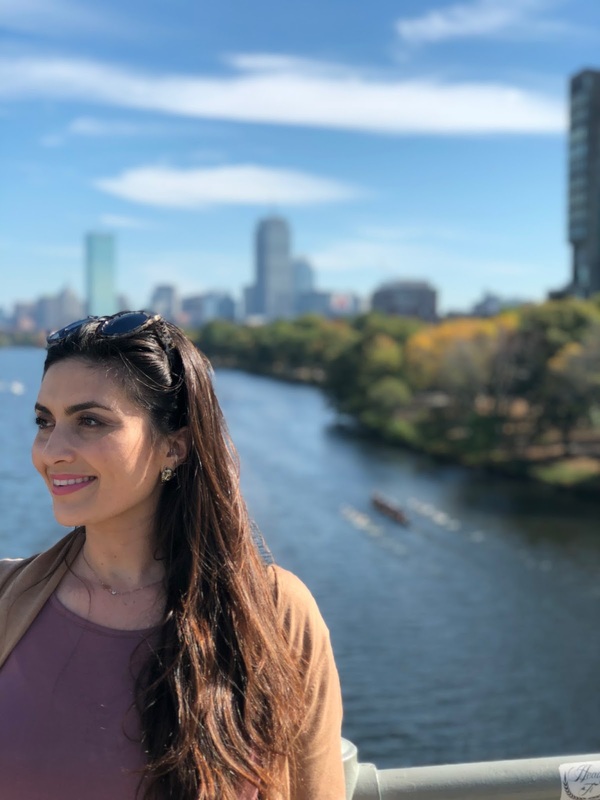 I hope wherever you live was as beautiful weather wise as it was here in Boston this past weekend! I think I may have uttered these exact words at least 10 times this weekend- "is this really October weather!?" I walked the equivalent of a marathon between Saturday & Sunday - which is basically a successful weekend in my book! 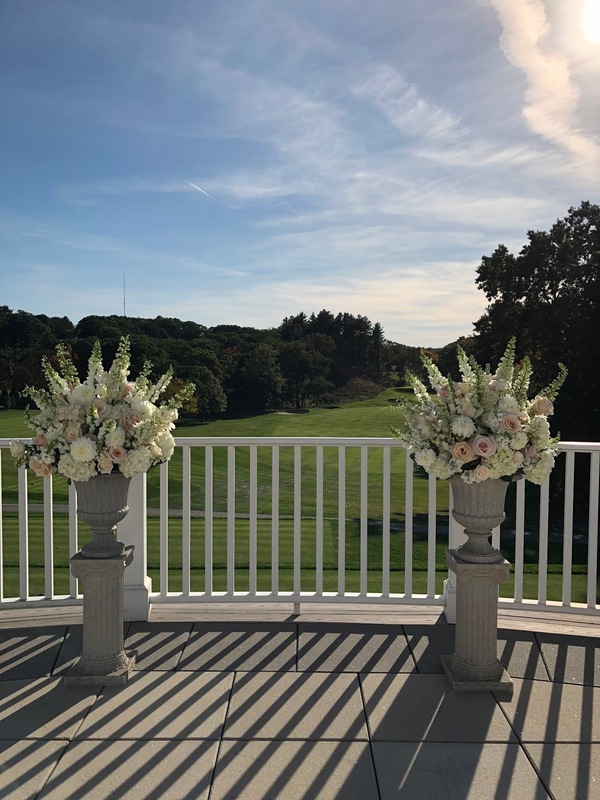 Saturday Jackie & I headed to our final wedding of 2017 and it was absolutely beautiful taking place at Brae Burn Country Club. The couple decided to forgo the traditional guest book and instead had guests sign a beautiful bottle of champagne! 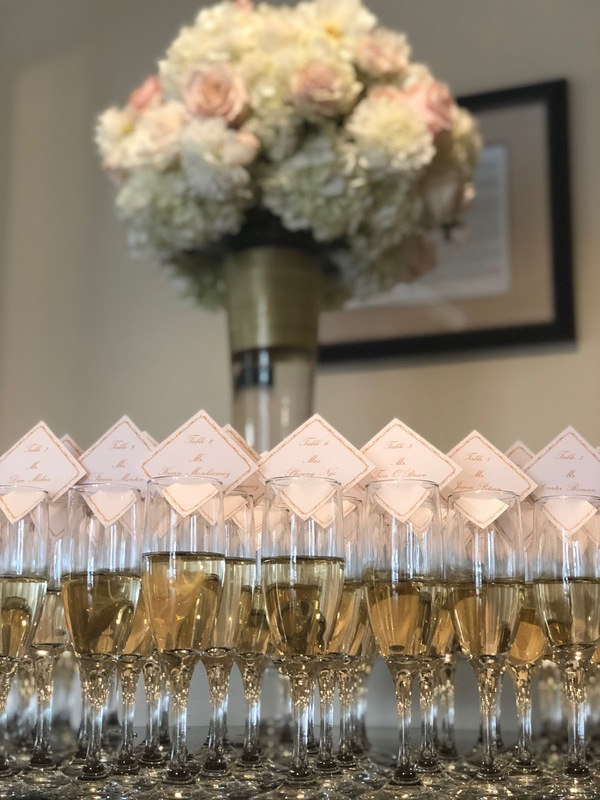 There were plenty of DIY touches from the adorned menu cards to the hand placed labels on the mini champagne favors - everything was done with love and attention to detail! The florals were absolutely gorgeous and created by Jeri Solomon & the cake was done by Cakes to Remember - a specialty bakery in Boston! One of my favorite focal points was the place card table! The bride saw a photo on pinterest and I'm so happy Jackie & I were able to help bring that vision to life! It was the perfect wedding to cap off a very successful 2017 wedding season for us!! 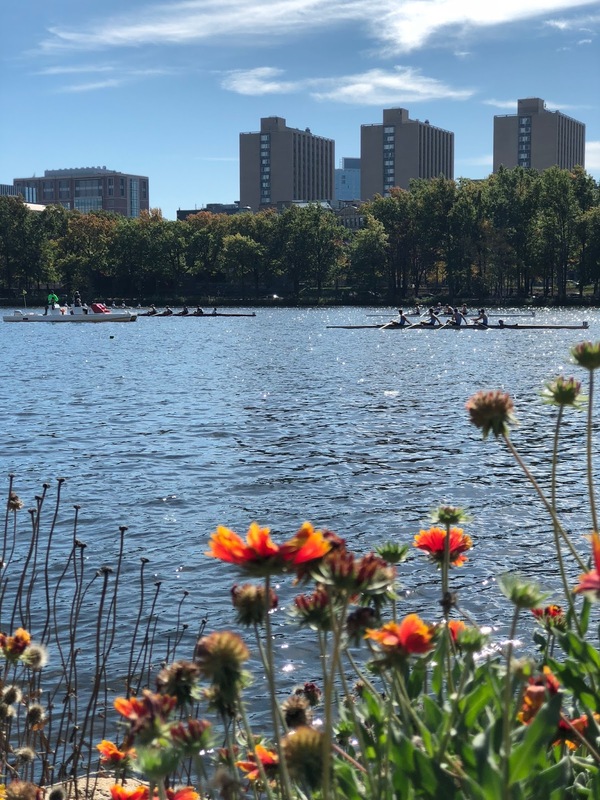 This weekend was also the Head of the Charles Regatta & the first time since living in Boston that I have been able to go!! It was the most beautiful day & even though I had zero clue what was happening we really enjoyed being outside and seeing everyone race on the river! We made our way to Beacon Hill to eat at one of our favorite restaurants - Figs! It had been closed for nearly a year due to a kitchen fire, but they finally reopened & are just as good as they were before. 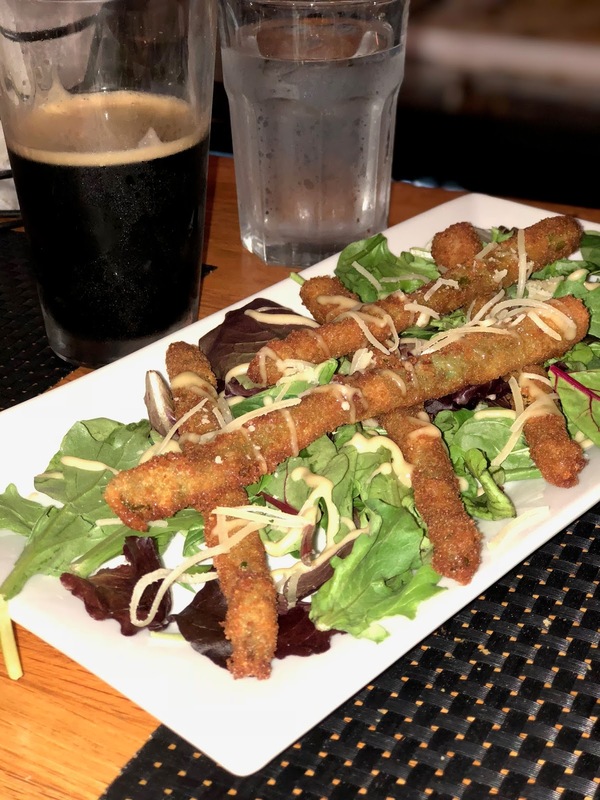 Whenever we have friends or family visiting we like to take them here because the food is just amazing - my favorite dish is the asparagus frito!! We always split the pizza with two choices - this time a red sox for Gary & quatro formaggio for me! Strolling through the park & having a little bit of a lazy Sunday was exactly what we needed before we kicked this week off! 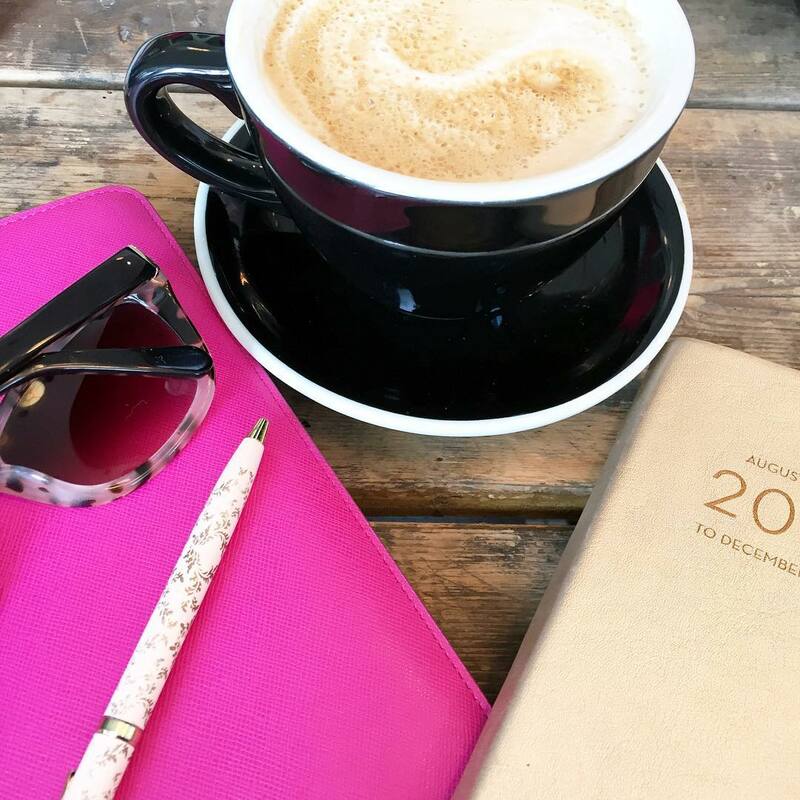 My evening was spent catching up on blog work & packing for Iceland!! We leave soon & I'm definitely beyond excited!! How was your weekend? Link up below to share it with us! Weddings are so inspiring and this one looked beautiful!! 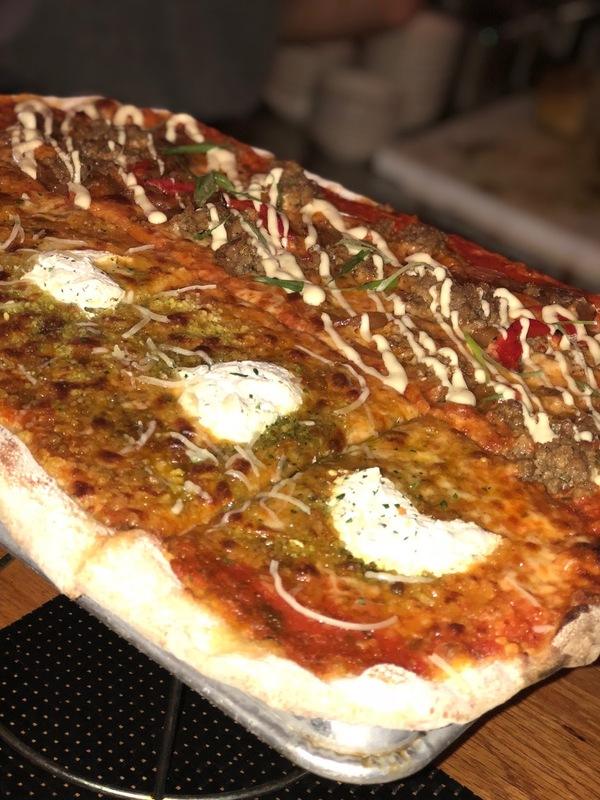 Also, that pizza looks amazing!! Yum!! Happy Monday! The weather was so nice here, too. It definitely didn't feel like the end of October! All the pictures from the wedding look beautiful! Love the idea of a champagne wedding guest book! Have a great Monday, Biana! You, my friend, are the wedding marathon champ!!! Gorgeous, well, gorgeous everything!!! And that food..wow..and well deserved!!! Have a great week! That last picture is so gorgeous. Great job on another wedding! And holy cow with the walking! Get it girl! Gorgeous wedding details from Saturday! And so glad you got to enjoy a nice weekend out in Boston--hoping you get a few more before winter sets in! How fun! Looks like a gorgeous wedding! Hope you have a great week! What a beautiful wedding, and the scenery from the regatta looked so gorgeous! It was pretty weather here yesterday, too, and I just love it! 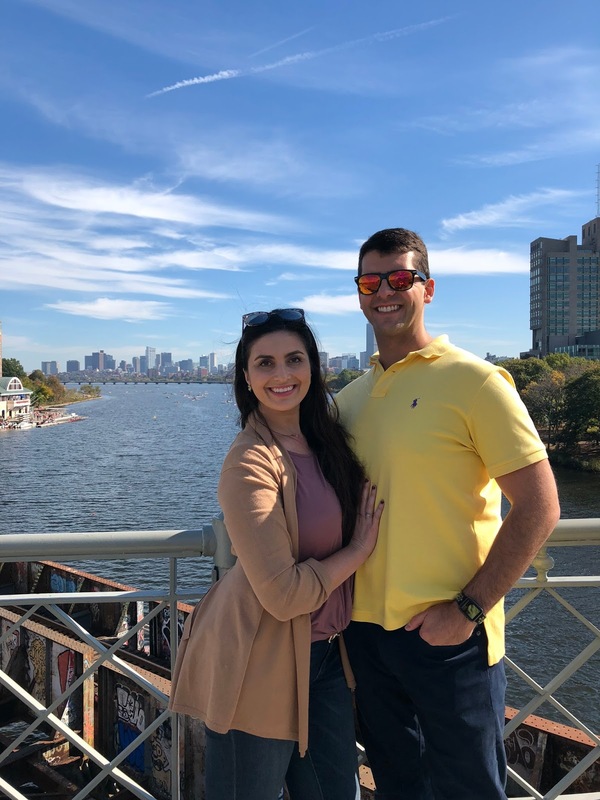 We had amazing weather for Chicago in October this weekend too!! The wedding was so beautiful!! It looks like y'all had gorgeous weather just like we did! That wedding was BEAUTIFUL! the flower arrangements were just stunning!! Happy Monday girl! I must be hungry because I'm drooling over that pizza and wedding cake! Glad you got a lazy Sunday. Those are amazing! What a gorgeous wedding!!!! Looks like you had such a great weekend with fab weather. Also, you really have me wanting to get the new iPhone! What a beautiful wedding!! 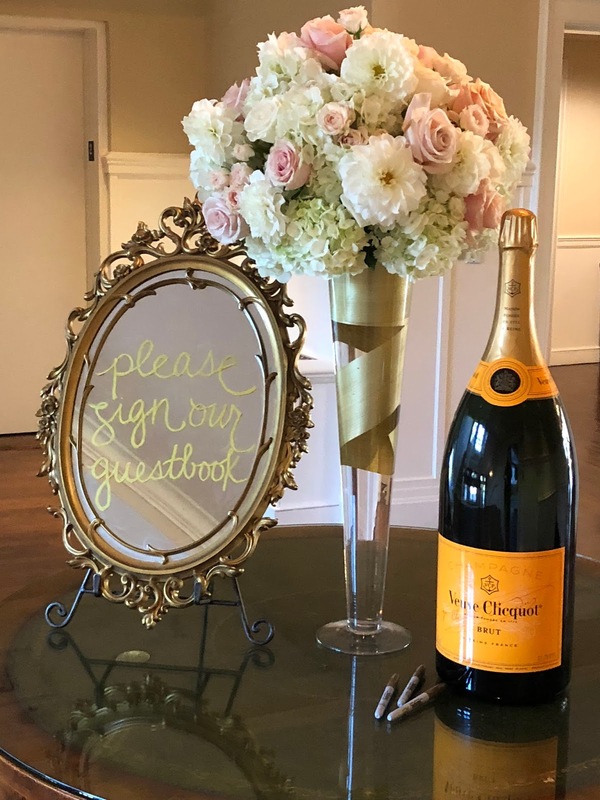 I love that they have guests sign a big champagne bottle- such a cool keepsake! The wedding looked so beautiful, and it really doe look like the perfect way to end the season. That's so awesome that you were finally able to go to the Head of the Charles Regatta! It sounds like a super fun local event! That cake and the pizza!!!! That wedding looked absolutely gorgeous!!! I love all the timeless touches that will age well in the memories of photos. That asparagus frito looks so good!! Sounds like you guys had a fabulous weekend! Looks like such a fun weekend! Love all your photos! Totally envy you a bit for getting to attend and help put together all of these gorgeous weddings! What gorgeous wedding details! The flowers are beautiful and how fun to sign a champagne bottle! What a beautiful wedding , the cake looks incredible. I'm glad, you enjoyed your weekend . Looks like a beautiful wedding with lots of special and unique touches! That reopened restaurant looks great! Wow the cake looks gorgeous! What a fun twist on a guest book, too! Glad the weather was so nice where you guys were, too--definitely taking advantage of it before the snowstorms right?? It looks fun there! And all the decorations are so pretty. The cake looks spectacular too! Gorgeous city shots. Love the wedding photos too, you guys did a great job! 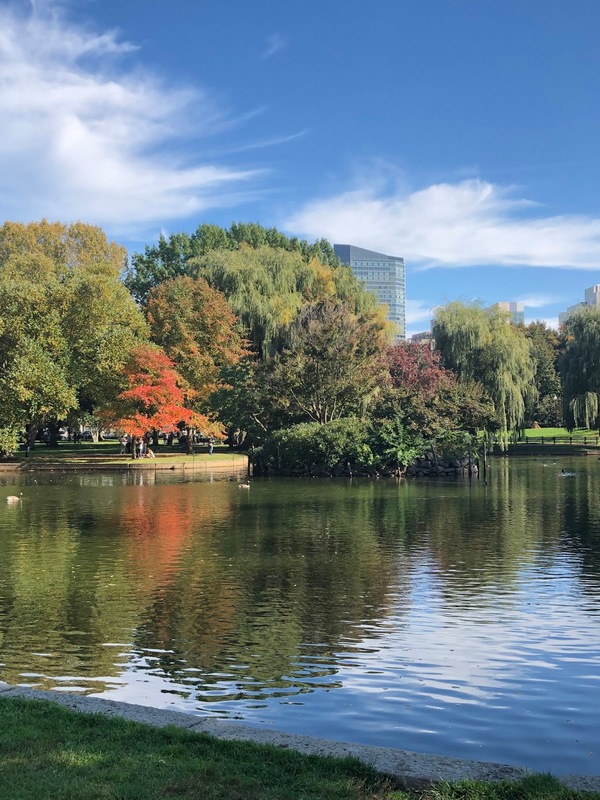 It looks like a gorgeous weekend in Boston! Those asparagus frites sound amazing, and that's such a great picture of you and Gary! The wedding looked stunning- I love the floral arrangements and the menu cards look so pretty! I love the wedding details!!! And that food - yum! I have never seen that asparagus dish before and now I am going to be scouring menus around here for it! Looks delicious! The weather this weekend was insane! Glad you had a nice weekend - that wedding was gorgeous! Love the personal touches at the wedding, so beautiful! That cake looks amazing and those flowers are to die for. sounds like a very fun and busy weekend. Glad you were able to rest on Sunday. You and Jackie did a marvelous job with the wedding! 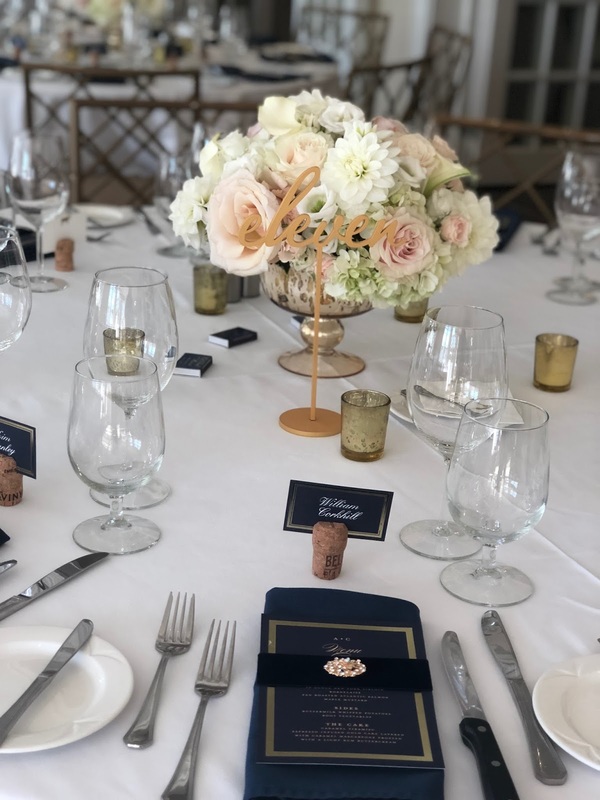 The details look so beautiful and very personal and polished; I love the idea of the personalized seating cards on the champagne! Will you both offer other party planning in the future or will you be sticking to weddings only? You both are so talented! Eddie recently landed a new job that will require him to travel periodically and I'm hoping he'll have to go to Boston, so I can tag along and meet you! I'd love to go to Figs :) Thanks for sharing, beauty, and I hope you're having a great start to your week so far! What a beautiful wedding. Love the name tag placement cards. I can't believe how beautiful it is in Boston right now!!! What a wonderful, October weekend!! That wedding looks beautiful! The wedding touches look fabulous :-) I can't get over the weather too, it's been amazing to enjoy so many outdoor spots. Your dinner is making my mouth water right now too lol! YOur weekend looks absolutely lovely. I am drooling over the details in that wedding. 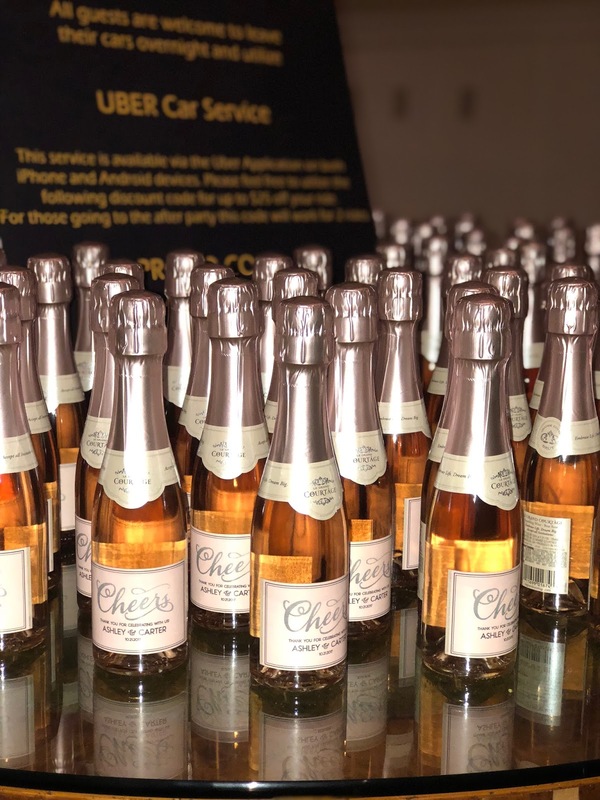 A champagne bottle guestbook and mini champagne bottles as favors? So perfect. The wedding looked beautiful! I went to one on Saturday too at the Indian Pond Country Club in Kingston. Such beautiful weather this weekend! What a stunning wedding!! You guys do a great job. It was such great weather here in Texas too! It rained a little but it finally cooled down. That wedding looked gorgeous! You always do such a great job, Biana! We had a beautiful weekend here too.. perfect weather. That looks like a lovely wedding. I love going to weddings, that looks so pretty! What a gorgeous wedding! 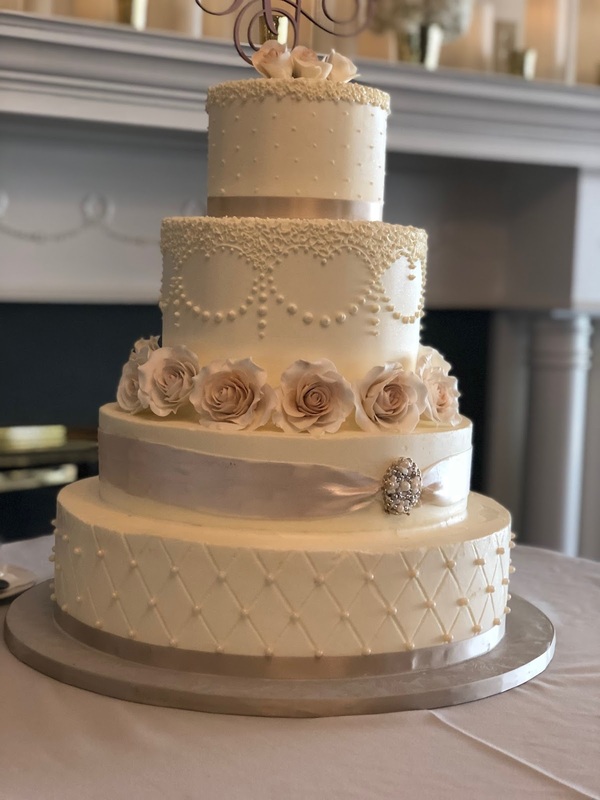 The flowers, the cake, and all the fancy details turned out amazing! The weather looks awesome for some outdoor fun! Sounds like a perfect weekend! The wedding looks like it turned out amazing! Definitely putting Figs on our list! Looks so yummy! 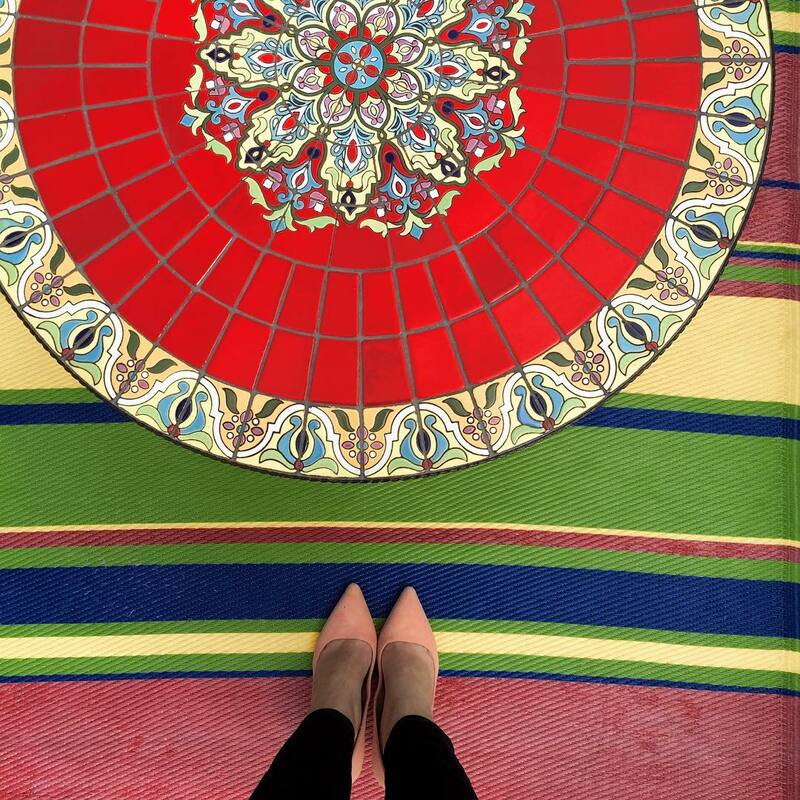 What perfect details at that wedding! So pretty. As are the views, I want to come back to Boston already! Figs looks so yummy! Love the more neutral romantic colors from this wedding and the mini champagne bottles...love! Oh My Gosh, that wedding looks outstanding!! The weather was so perfect for the regatta this weekend. We should enjoy while it lasts, our days are numbered. :( Lovely post! That cake is so gorgeous! And those centerpieces....swoooon! That pizza does look amazing, I may not want to share. Now I'm craving both cake and pizza haha! That wedding looked beautiful and that cake WOW!! I love seeing these little touches from your weddings. The place card table is so pretty, you'll have to share that idea with your other brides! That wedding looks absolutely gorgeous! It's a little bit chilly today in Philadelphia but it's felt like June all month! I kind of love it! October weddings are great. My sister had hers in October. Enjoy Iceland!! My fiance and I went last year. Truly an experience. You really outdid yourself on the wedding last weekend. I think I say that every time you plan a wedding... but the flowers for this one (and the champagne toast table) were unbelievably gorgeous!! !